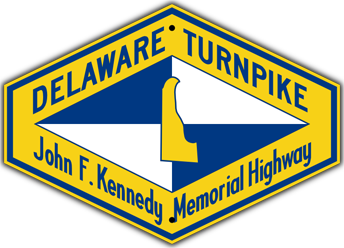 Delaware shield with MUTCD fonts. 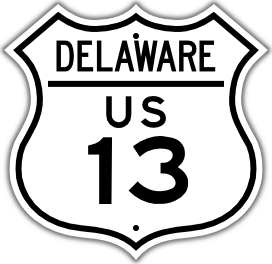 Cutout U. S. shield, with Delaware custom fonts. Cut out to hexagon shape with 1960s turnpike design. The sign is 21x15 or 28x20 inches. It is printed using cutting-edge technology, to replicate accurately the look of classic Silver Scotchlite sheeting.